A 1963 Jaguar E-Type Lightweight Competition is one of the headline cars announced for the 2017 Bonhams Scottsdale classic car auctions. This ex Bob Jane, 1963 Australian GT Championship winning racing car is one of only 12 lightweight competition Jaguar E-Types ever produced. This very special sports-racer carries an estimate of $7,500,000-$8,500,000. Bonhams is holding its sixth annual collector car auction during the Scottsdale Car Week in 2017 on 19 January 2017 at the Westin Keiland Resort in Scottsdale, Arizona. In 2016, Bonhams earned $18 million with a strong sell-through rate of 84% at the Scottsdale auction. 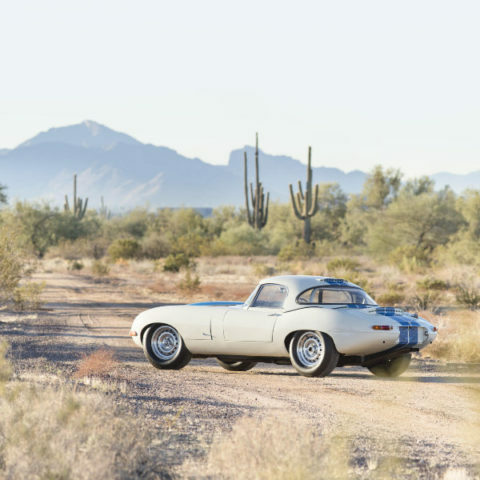 One of the expected highlights of the Bonhams Scottsdale classic car auction in 2017 is the 1963 Jaguar E-Type Lightweight Competition, number S850667, with an estimate of $7,500,000-$8,500,000. This 1963 Jaguar E-Type Lightweight Competition was the 10th of the 12 hallowed Factory Lightweights built, and is the 1963 Australian GT Championship-winning car. Well documented and exceedingly original, it has less than 4,000 original miles and has had just three owners from new. This car is, without question, one of the best, most original examples of the Factory Lightweights in existence. In the 1950s when Jaguar was dominating at Le Mans with its series of purebred competition cars, the C-Type and D-Type, the natural successor came in the form the factory lightweight competition E-Type. 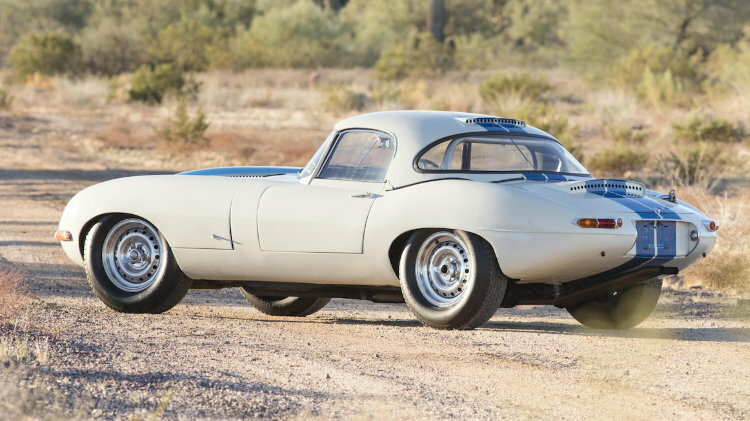 With 53 C-Types built and 71 D-Types built, the 12 factory lightweight competition E-Types created make this model far rarer than its celebrated siblings and few collectors indeed can boast of owning all three. Known as the “GTO killers,” these lightweight competition Jaguar E-Types are faster on most tracks than the famed Ferrari 250 GTO. As some of the most successful and iconic sports-racing cars ever produced, they are among Britain’s most celebrated cars and rarely, if ever, come up for sale. This example has been out of the public eye for most of its life and comes recently from a private collection where it has resided since 1999. Its condition, too, is incredibly noteworthy with original finish visible in most areas, including almost all the interior. To have a competition car, and a championship winner at that, in such original condition is unheard of today. “It’s an honor to represent such an original and genuine example of these epic and legendary cars,” says Jakob Greisen, Bonhams’ Head of US Motoring. “Not only is this an incredible car by any measure, but it’s also the first time a Lightweight E-Type has been offered in the US for more that 17 years.” This very special sports-racer carries an estimate of $7,500,000-$8,500,000. 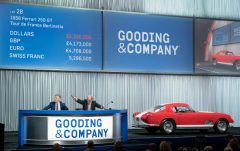 Top cars already announced for the 2017 Bonhams Scottsdale classic car auction include a 1963 Jaguar E-Type Lightweight Competition, 1952 Ferrari 340 America Vignale Spider, a highly original 1964 Porsche 904 GTS and an exquisite 1966 Ferrari 275 GTB.